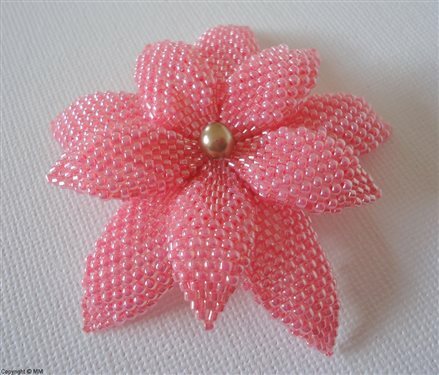 Beaded flower made with peyote stitch. Requires a lot of patience to make. But the result is beautiful.